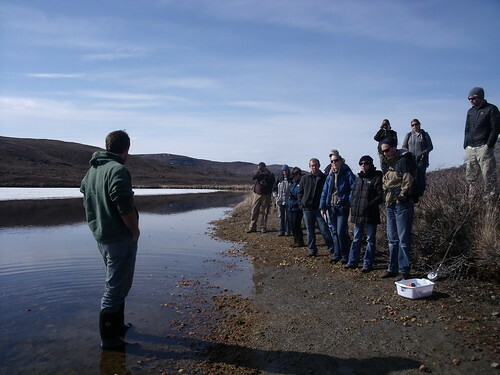 IGERT students from the University of Kansas C-CHANGE program were in Kangerlussuaq last week as part of 10-day field course on Climate Change in Greenland and the Arctic. 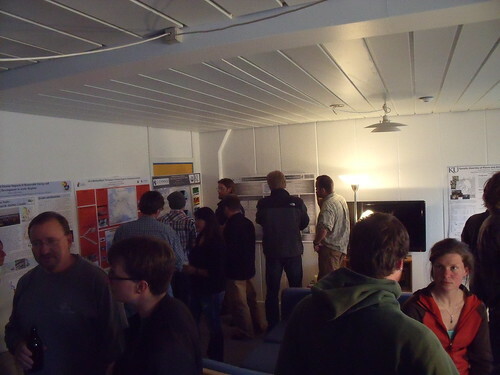 We were fortunate to spend time with them in the field and at a poster session at the research station. Many thanks to KU for stimulating many informative and productive conversations. We really enjoyed sharing our experiences and perceptions of Arctic change. I am back in Kangerlussuaq, Greenland to continue my studies of the Arctic mosquito. Last year I arrived on May 18th to an unusually cold Arctic spring. The tundra was brown, the lakes were locked in ice and the mosquitoes were just starting to hatch. This year I arrived on May 7th. Folks have been telling me this year is more typical. It’s certainly warmer- and wetter- and the biology of the plants and lakes is much farther along than last year. The mosquitoes are about to pupate- last year that didn’t happen until June. I expect the adults to emerge before the end of May. Last year they emerged in the middle of June. Studying the timing of biological events (e.g. mosquito emergence, plant flowering) is known as phenology, and is a critical component of understanding ecological response to climate change. 2011 and 2012 have provided a perfect framework for understanding a key factor that influences phenology, i.e., temperature, because 2011 was so cold and 2012 is much warmer. 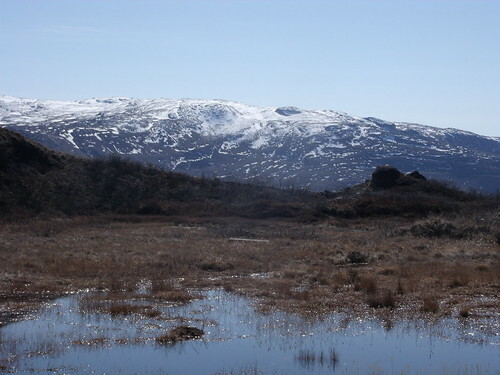 Given the ongoing and future warming of the Arctic, cold springs such as in 2011 will become more rare, and warm springs such as in 2012 will be the norm. Changes to the phenology of plants and animals are occurring- describing and communicating these changes and the consequences for residents of the Arctic is one of the goals of our IGERT program at Dartmouth. As always, stay tuned for updates about the mosquitoes, sea tomatoes, and other happenings in the world of Polar Science at Dartmouth.